While the adage of bigger is better does not always hold water we now have enough evidence to safely say that multiple subwoofers are better when it comes to bass quality. 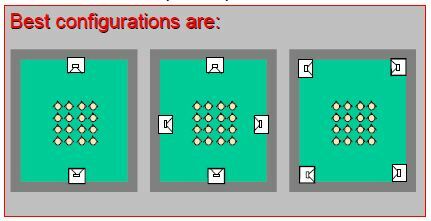 Since the onset of 5.1 surround sound systems in the 90's, the .1 portion was relegated to being a single subwoofer typically placed in the corner of a room. While this was the most expedient way of handling bass, it really wasn't the most effective solution. The single subwoofer approach suffers from an unevenness in bass which is to say it is impossible to get smooth bass response in a home theater or media room from seat to seat. While one seating location might be outstanding, the other seats would suffer from bass peaks or dips…in other words, depending on the bass frequency, either too loud or too quiet. Often we'd have to design the room around just a single seat or a small group of seats while everyone else in the room suffered from these inconsistencies. The reason for this has to do with physics; sound waves bounce off of the walls, floor, and ceiling and interact with one another, causing peaks and dips at differing frequencies and at different seating positions. Enter Dr. Floyd Toole and Todd Welti. Dr. Toole has been an invaluable asset to the sound reproduction industry and has devoted a great amount of his life to understanding how sound propagates in a home environment*. Todd Welti did a lot of experimentation with subwoofer placement, numbers, and bass sound quality. This breakthrough work on bass reproduction is a true revelation that has allowed us as home theater designers to create a room where we can significantly minimize bass response problems. The resulting whitepaper on the topic was a culmination of countless tests and acoustical models of playing with multiple subwoofers in different locations in a room to improve bass response over a much wider listening area. In the end, Dr. Toole and Todd Welti concluded that the most ideal scenario for bass reproduction is to have one subwoofer located at the midpoint of all four walls. 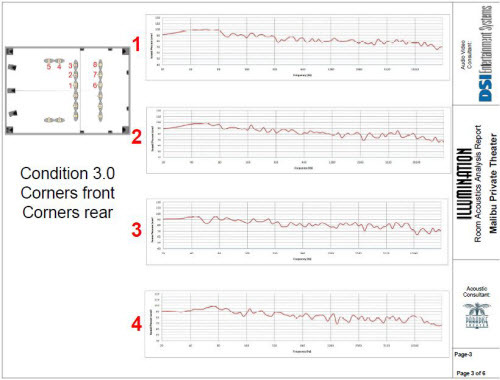 This configuration displayed the least amount of variation in bass response from seat to seat. Alternately, four subwoofers can be used in each corner. The best analogy that can be made to illustrate the point is to imagine you are at the beach and it’s time to pack up and head home. As is always the case of beach going you've managed to collect a fair amount of sand on your blanket and you’d rather not bring that home with you so you start to shake the sand off the blanket. Now imagine how best to hold the blanket so you have the maximum amount of control over the surface area. Would holding just a single corner of the blanket work? It certainly would, but wouldn't you have much more control over the blanket if you got some help and had all four sides of the blanket held firmly in place? Of course! Now just imagine sound waves traveling through your room like a blanket and the subwoofers in the midpoint of all four sides working to provide the most even coverage. Now I realize four subwoofers may not be logistically or even practically feasible in many home theaters. Fortunately two subwoofers opposing each other at the mid-point of the wall also works well. Either scenario will provide you with a far more even response from seat to seat than the traditional single subwoofer approach would. You might be wondering how ugly a home theater can look with four subwoofers taking up space in the room. The good news is that there are many subwoofer options available today, including good-quality in-wall subwoofers. Hiding technology in an aesthetically pleasing way is something we're good at; we've won many industry awards for doing so, including eight Best Home Theater awards. 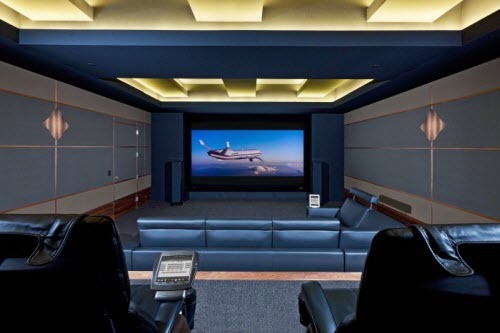 Our best advice is to get a professional home theater designer (like us!) on board as early as possible in the design process so not only are the aesthetics as good as they can be, but the picture and sound performance is optimal, too. Feel free to call or email me at chris.montreuil@dsientertainment.com if you are in the Southern California area to get started. Offices in Los Angeles, Santa Barbara, and Newport Beach. For more home theater advice, feel free to download the Top Home Theater Tips whitepaper.